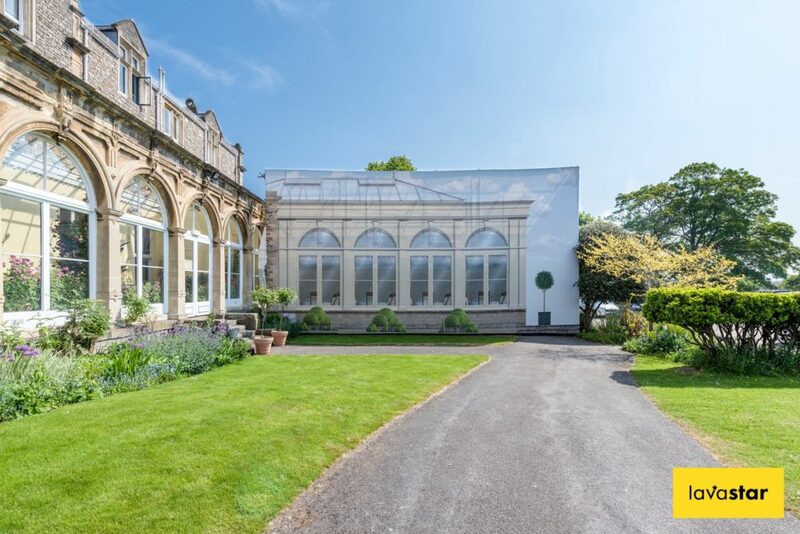 We know what you’re thinking – what on earth is a ‘trompe l’oeil building wrap’? Well, it is a special type of building wrap that is used to hide scaffolding and disguise building works on high profile and recognisable buildings throughout London and the UK. 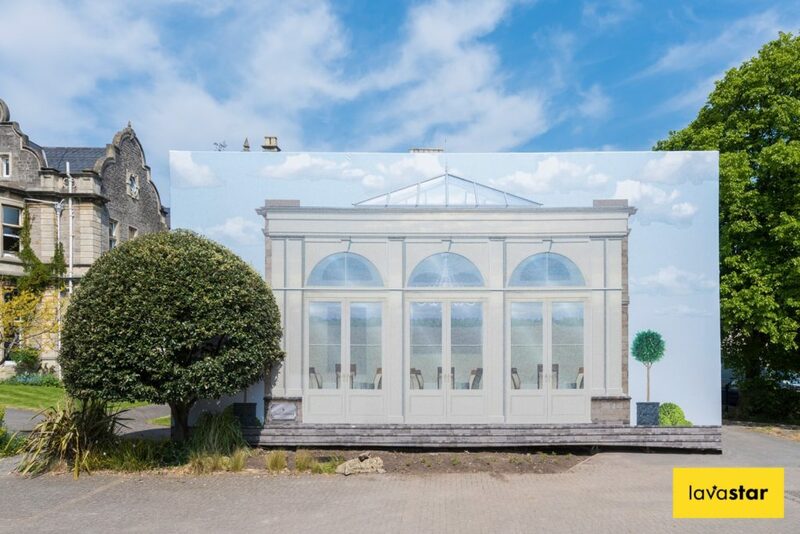 A trompe l’oeil building wrap is created using either a photograph or computer generated image of what that section of the building should, or will look like once the building works are complete. When a photographic building wrap is in place, it is not always instantly recognisable that building works are underway which is a huge benefit and major reason for installing them. Secondly, showcasing a snippet of what’s to come provides instant justification for the building works to any onlookers who might be disappointed or offended by them. You might have seen this type of scaffolding wrap in London at certain museums, galleries or other landmarks where the presentation of the building is often as important as what might lie within it. Trompe l’oeil scaffolding banners are sympathetic to their environment which is why we are so fond of them and which also makes them a very professional alternative to your typical London building wrap, especially when combined with some very subtle company branding. Lavastar have installed a number of trompe l’oeil building wraps across a range of high profile locations in London and the UK. We feel that we have an advanced understanding of the importance of this type of building wrap which reflects in the high quality and impact of the work which we produce. Our team comprises of degree qualified and industry served computer graphic artists who produce beautiful and intricate images with absolutely no detail spared. It is the outline of a person in the window, or cast shadow of a bird on the exterior of the building which gives life to our photographic building wraps and sets them a cut above the rest. Having installed scaffolding banners on some of the most prestigious buildings in the country, we understand the sheer amount of work that goes into ensuring that the wrap is installed flawlessly. From extremely detailed wind loading diagrams, risk assessments, and method statements in the planning phase, to the most careful and considered installation possible, we are qualified and experienced enough to be the only suitable choice for your London scaffolding banner.